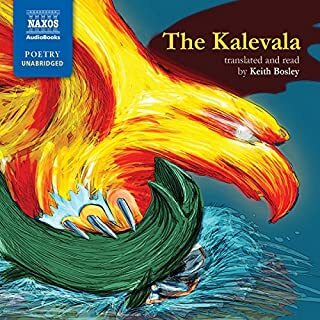 If you could sum up The Kalevala in three words, what would they be? What about Keith Bosley’s performance did you like? That it sounded like a storyteller of the original tales might have, had they been in English--declaimed and metrical but well paced. He conveyed what must have been the real meaning of the words--which as the translator from the Finnish, he knew. No, the original was assembled from different, though related tales by a 19th-century collector. Where other translated folk tales seem flat, this was lively, without the sense that anything had been added to make it so. A morality tale made great fun. 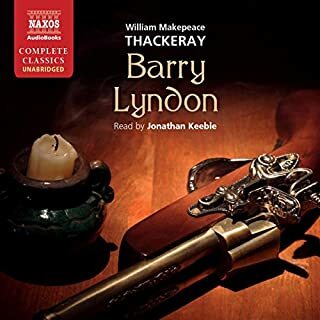 Would you consider the audio edition of Barry Lyndon to be better than the print version? Yes--the story itself is the well-worn 19th-century story of the ne'er-do-well who finally gets what's coming to him. But the energy of the reader, Jonathan Keeble, keeps you engaged. It's what's long signaled in the text. Satisfying for the moral purpose. See above. He takes expressive and interpretive risks that might be overdone in another story but work very well in this one. From my other reading of Thackeray I expect the author would have approved the result, and enjoyed it as much as I did. Forget the '70s film--this one's much more fun.